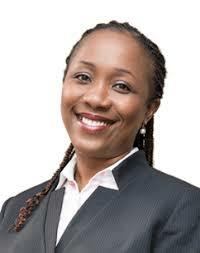 LUSAKA – SUSAN Mulikita has been appointed chief executive officer of Liquid Telecom Zambia, becoming the first female CEO in the country’s information and communications technology (ICT) sector. “This is an exciting time to be joining Liquid Telecom Zambia,” Mulikita said. Mulikita pledged to work with Liquid Telecom partners, government and other stakeholders to deliver innovative and compelling ICT and telecoms services. She has more than 20 years’ ICT experience, operating at a senior level for private sector and public organisations, most prominently Airtel where she was responsible for telecommunications and ICT law, policy, regulation and stakeholder management. “This senior appointment marks an exciting new step in Liquid Telecom’s strategy to build Africa’s digital future,” said Wellington Makamure, CEO of Liquid Telecom’s Southern Africa region. He said Mulikita’s appointment demonstrated Liquid Telecom’s continued focus on diversity and inclusiveness, especially at a regional level.